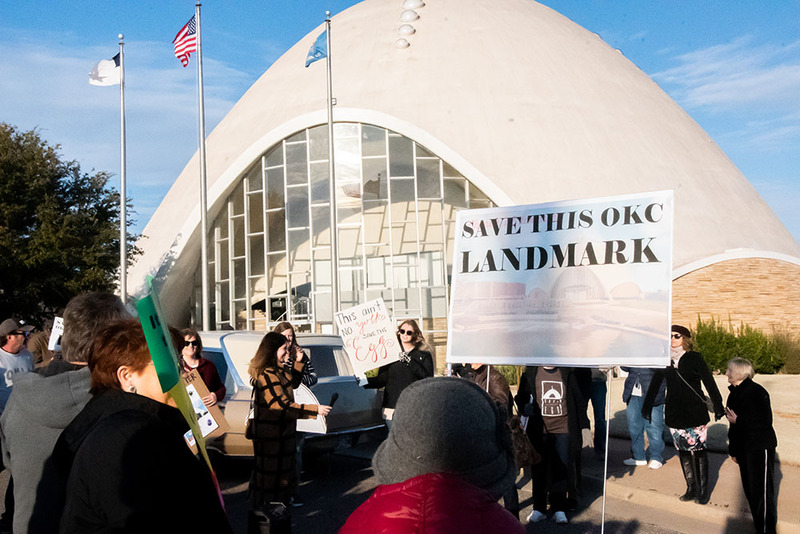 The news set off a wave of concern among preservationists and a protest was held at the church -- located at NW 36th and Walker -- this Wednesday in an attempt to raise community awareness and to place pressure on the church and potential buyer. Councilman Ed Shadid has placed an item on next Tuesday's city council meeting to vote on starting the process towards historic landmark designation. If the resolution passes by simple majority, there would be an 180 day moratorium on demolition while the historic landmark process proceeds. If the resolution does not pass at the next council meeting, two other city bodies have the same power. Either the Historic Preservation Commission or the Planning Commission could vote by majority to start the process which would trigger the same 180 day moratorium against razing the buildings. 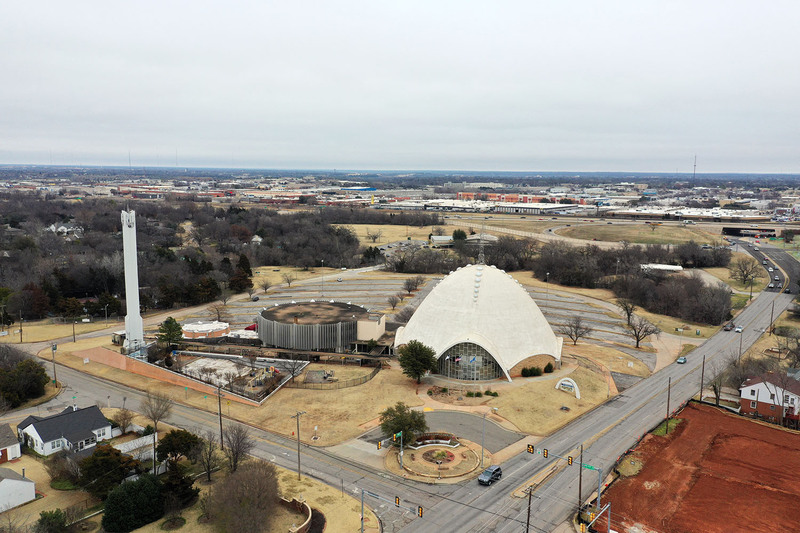 OKCTalk has learned that if the resolution does not pass at city council, the Historic Preservation Committee will vote on the same matter at their next meeting in early April. Regardless of which group passes the measure, it would later come back before the city council for final approval. If council passes the final historic landmark status, any owner would be required to get prior approval from the city's Historic Preservation Commission before it could be significantly modified, including full or partial demolition. 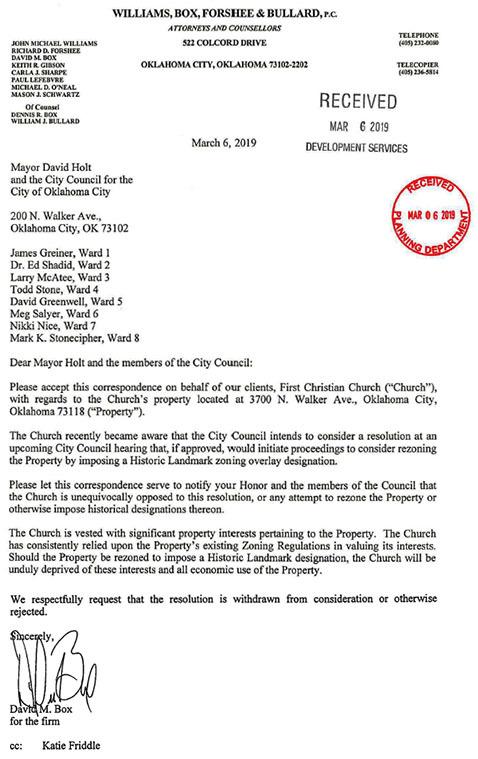 On Wednesday, the same day of the protest, attorney David Box submitted the following letter to the city council and mayor, stating the church is opposed to the rezoning. By expressing opposition by the current owners, the final rezoning will now be required to receive 7 affirming votes among the 8 council members and the mayor. Without stated such opposition, the resolution would only need a simple majority to pass. The move seems to underscore the intention of the church to sell to a new owner who plans to make major changes to a series of buildings that has been a landmark since its completion in 1956, where the city itself promoted the egg-shaped structure as the “Church of Tomorrow”. As we reported on February 22nd, Shadid received a call from a church board member who told him they were under contract with a buyer who intended to demolish the main structure. Since the property falls outside any of the city's various design districts, as things are today complete demolition could occur without public notice or any type of review. 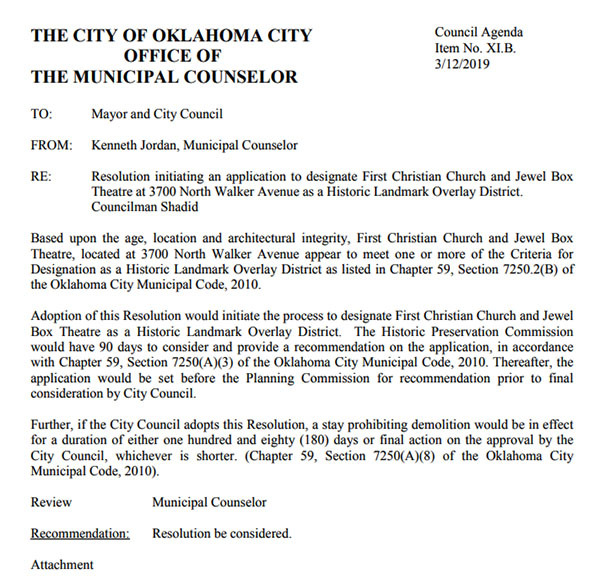 City council will discuss and vote on the historic landmark resolution on Tuesday, March 12th.